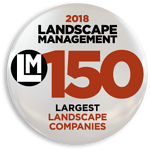 The Landscape Designer/Estimator must be thoroughly familiar with designing and estimating all aspects of landscape instruction to include: site analysis, grading, drainage, plant selection and placement, hardscape (patios, walkways, decks, barbecues, gazebos, etc.) water features, lighting, etc. ; and be able to manually design the same. The Landscape Designer must have excellent analytical as well as aesthetic skills, provide excellent internal service, and be able to do take-offs. The Landscape Designer will also interface with the company Client relations managers and team.